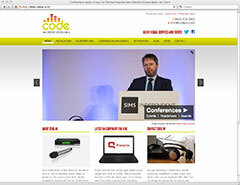 I revamped the website for Code Audio Visual, based in Crewe, Cheshire. The project included rewriting existing content, while paying attention to key words and ensuring the site was more readable. I also added three new pages – testimonials, blog and news. The customer was delighted with the results and I hope to take on more freelance copywriting work for the client in the future.